Happy Tuesday, everyone! I hope you all had a wonderful (and long!) weekend. Today’s #faceswithSTEM post comes a day late due to the holiday— but it’s well worth the wait. 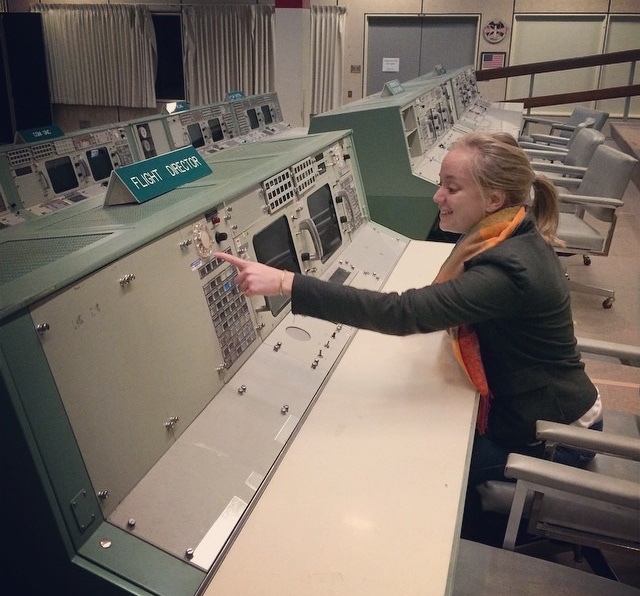 In addition to earning her Masters of Microbiology from Miami University, Sarah Stahl works as an analyst at NASA Johnson Space Flight Center. Those of you who were able to join us for the Smartforce Student Summit at IMTS 2014, may remember that astronaut Wendy Lawrence was one of our keynote speakers, and had a tremendous impact on the students who were able to hear her speak. There was an an obvious and exciting spike in interest when it came to discussing how the STEM based courses the students were currently taking would be applicable at NASA. However, Captain Lawrence also made note of how statistically, interest in STEM courses dissipates substantially between 4th and 8th grade, especially for girls. So it is with enormous pleasure I’d like to introduce you to Sarah— whose hard work, perseverance, and dedication to her field have paid off. 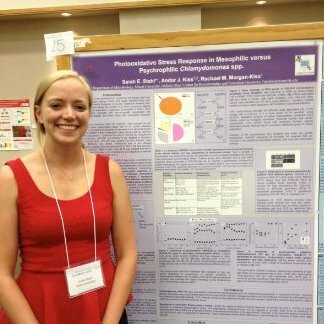 How did you become interested in your field? : I became interested in microbiology in high school when I started participating in science fair. I was and still am fascinated by the fact that microorganisms are everywhere influencing our lives and we can’t even see them. Being a researcher I get to explore what these microorganisms are doing and how they effect us. Are there any STEM developments you are especially excited to see play a part innovating your field? : I am very interested in biotechnology and renewable energy. At NASA we are planning for future trips to Mars and these STEM initiatives between microbiologist and engineers are essential to make this long space flight journey possible whether it is increasing food shelf life and availability, fuel or crew health and safety. Any advice for students considering studying/working in your field? : My advice to students is to get out there! The best way to see if you like science and research is to do it. I had several internships that were very beneficial to my learning and comprehension to what I was learning in the classroom.